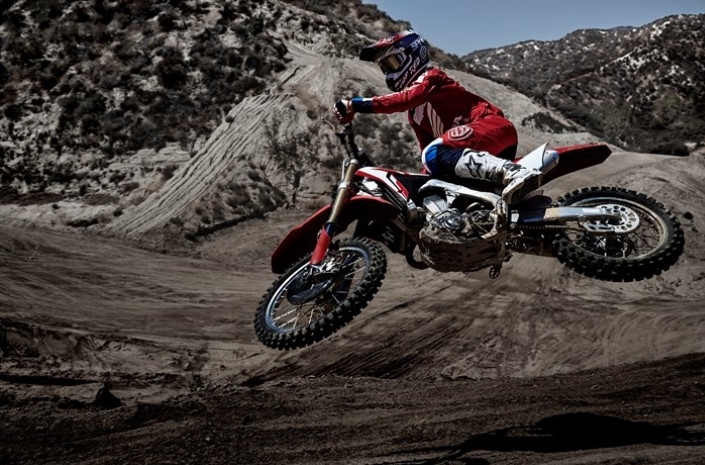 Model updates: The first ‘from the ground up’ redesign of the CRF450R for eight years packs an HRC-inspired power-up engine with an 11% top-end power boost, and stronger torque right through the rev range. 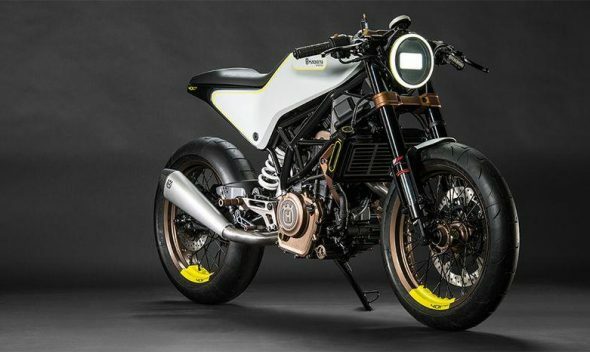 It also gets an all-new seventh generation aluminium frame with new chassis geometry, lower centre of gravity and ‘factory’ race kit-specification 49mm Showa steel spring front fork. A titanium fuel tank, smooth, aerodynamically-efficient plastics and the option of electric start complete the all-new package. Our focus has been on producing a machine with exceptional engine performance, outstanding rear wheel traction and a low centre of gravity – to create a 5% improvement in acceleration on the previous model.The phrase underpinning development was ‘Absolute Holeshot’.